The 2014 Chinese Grand Prix wasn't quite a thriller, but it had a bit a fun added after the act. It turns out that the final two laps of proceedings didn't actually happen, despite all appearances. Instead the result was declared after 54 tours of the scheduled and completed 56. Why? Well no it wasn't a result of us somehow suffering a collective hallucination. Instead, you may recall that on the final lap Lewis Hamilton said something on the team radio - replicated on the world TV feed - about a chequered flag. Many assumed simply that he'd mis-counted and expected the flag a lap early. But no, it wasn't Lewis that had mis-counted; he had been shown the flag a lap early. How could such a thing happen? Especially in this age of precise computerised timing? Turns out - to borrow the catchphrase of a notorious UK newspaper columnist - you couldn't make it up. Sky has reported that 'It's understood that the mistake happened when the clerk of the course unfurled the flag to test it.' Oh dear. And as it turned out the effect of this was doubled, as under Article 43.2 of F1's sporting regulations: 'Should for any reason the end-of-race signal be given before the leading car completes the scheduled number of laps, or the prescribed time has been completed, the race will be deemed to have finished when the leading car last crossed the line before the signal was given.' So, results have been taken from the lap before the clerk of the course committed the goof up. The only resultant positional change was that Kamui Kobayashi's pass of Jules Bianchi on the final lap for seventeenth place now counts for nothing. And imagine too if that fight had been over P11 or P12 rather than P17, given such positions would likely have been crucial to their respective team's constructors' placings, which of course the money is based on. Still, while it may not be probable it is still plausible that these placings could tilt the championship order balance one way or another, if there is a count back. 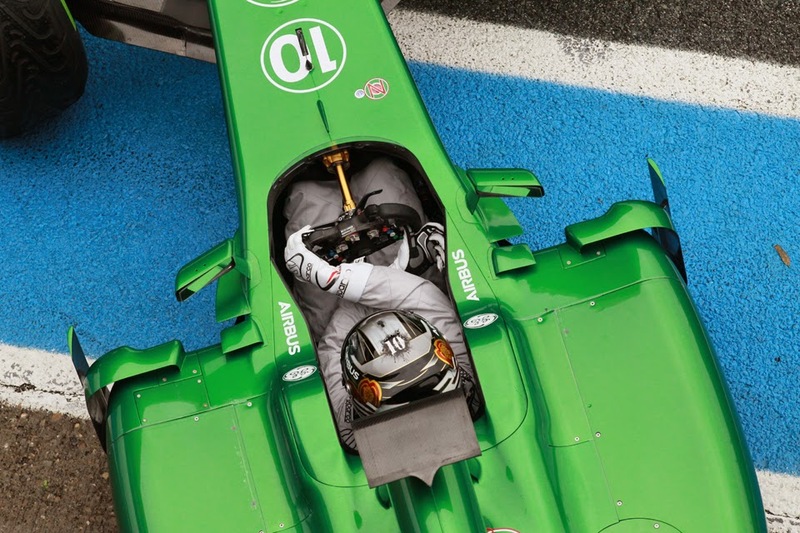 If I was in charge of such things at Caterham I'd appeal this; after all the team wouldn't want to regret the matter in six months' time if this precise scenario was indeed to play out. And there seem parallels between this and the outcome of the 2003 Brazilian Grand Prix; then as now an organisational goof up changing the result as it should have been, and which in that case was corrected subsequently days later. There's also something of a parallel with the 1995 Canadian Grand Prix. It's a race recalled primarily as Jean Alesi's first and as it transpired only Grand Prix win, and in response to this the locals got a bit overexcited and invaded the track - before everyone had finished their final laps... Mika Salo in seventh place turned onto the pit straight for the final time and upon finding the track awash with spectators decided to stop before he'd reached the finish line, so not to mow anyone down. Luca Badoer, who'd started the final lap some 50 seconds after Salo, had no such qualms however and charged past Salo's Tyrrell to cross the line before it. The stewards later didn't sympathise with Badoer and declared the final result based on the lap before, relegating Badoer back to where he belonged. As for 'face-palm' moments involving the chequered flag, we all recall the one about Pele being brought in to wave it at Interlagos one year, and managing to miss the winner. But there are others. 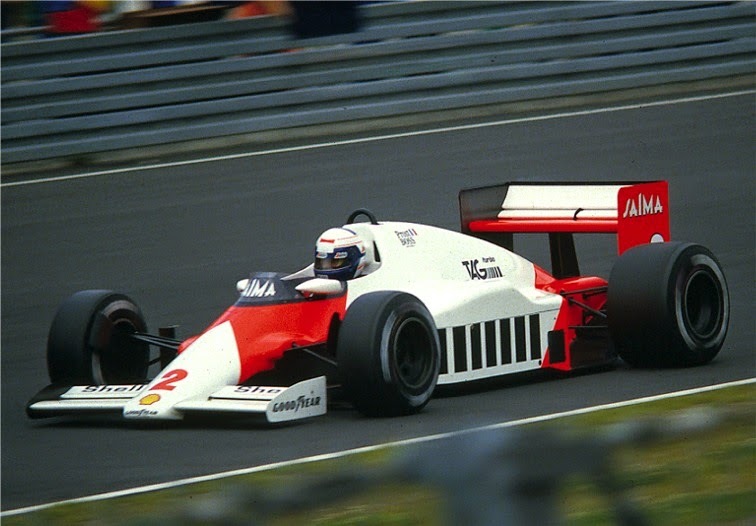 In the British Grand Prix of 1985 the chequered flag was also shown a lap early, this time to leader and victor Alain Prost, and it was all down to a bit of old-fashioned British incompetence. It transpired that the official on the line had assumed that his manual lap chart was correct even though he had the computerised timing system close to hand. It wasn't correct. Prost however, as ever leaving nothing to chance, completed the final lap anyway, and little more was said. My personal favourite tale comes from the Swiss Grand Prix at Dijon in 1982. Despite the nomenclature the Swiss Grand Prix was in effect a second French race on the calendar (just as the San Marino Grand Prix was a second Italian Grand Prix effectively for years). Then, the home ticket of Alain Prost in the Renault had led for much of the way, but in the late laps second-placed Keke Rosberg in his Williams was hunting him down at a rapid rate. As they were set to begin their penultimate lap the deficit was down to a few cars' lengths, but Williams' team manager Peter Collins at roughly that point spotted something. At the start line he saw an official apparently all set to wave the chequered flag two laps early - presumably to the aid of the home team! Collins however sprinted to the vicinity and manage to distract the said official long enough to allow Prost and Rosberg to flash by once more. Then, on what all assumed was the final tour, Rosberg indeed found a way by, but come the end of the lap there was no chequered flag! According to Maurice Hamilton in Autocourse: 'The officials, now thoroughly harassed, were gesticulating with their colleagues in the control tower and, in so doing, missed Rosberg...'. Some dryly noted that instead they might have been now minded to put the flag out late in case Prost caught up again. Rosberg however kept going until he saw a flag, which duly arrived a lap later.